Or, I tell a thousand words about these pictures. You're welcome. We all know instagram and the like only shows the good things, yadi yadi yada. I don't actually mind that, but I do love to learn the story behind the pictures. I thought I would share some tidbits about a couple of recent pictures. The 'story' is below the corresponding picture. I might have gone a little overboard.. what else is new? Me: can you take that stupid hat off? As you can see, we sat in the grass. The next day I woke up with a red splotchy allergic reaction all over my body. You can kind of see it in the below picture on my shoulders. It was all over my arms, even on my palms and it hurt like a mother trucker. We stopped in at a pharmacy to get some allergy pills but unfortunately they didn't help, it didn't completely disappear until we were in Dublin. Viking Splash Tour... I swear up and down, black and blue, that I booked this for noon but apparently I booked it for 10am (very unlike me to make a mistake planning) so we arrived 'late' and we missed our tour. They were completely booked for the rest of the day. I cried because I don't like when plans go wrong (or I make mistakes) so they arranged another tour for walk-ups and us. I was still a bit teary when we got on the duck boat thing, so KC indulged me with those hats and a picture. Lets take our jackets off really quick to take a photo even though it's minus a million degrees and this is really cold and uncomfortable dude hurry up and take the photo. When you try and take a pretty picture for Instagram but your cat is like 'I eats this?' 😻 No Millie, we don't eat books 😡 just finished Code Name Verity and I loved it.. I love books that make me want to hug the people in my life. This one made me want to hug my best friend ❤️ and also, I wanted to hug the characters because that's not weird. Can't wait to see what everyone has been reading tomorrow for Show Us Your Books! She projectile vomited 10 seconds after this picture, thankfully, I had her facing out so none of it got on me. This might have been because she has 'gotten me' in the past. I basically never get the stupid yoga mat out anymore because the cats hog the whole damn thing. Chelsea normally loves the car. We took her on a slightly longer drive and it started to rain and she was so scared, panting and meowing. So what better way to document how bad of a cat parent I am, but to take a photo. Story of my life: try to take a picture, one of 3 cats wanders in. Options: throw cat (nicely) across the room (really, nicely I promise, they love it) or deal with it. Hence, lots of cats in my pictures. This is one of my favourite photos ever. This was at my bridal shower and my MIL was being.. well, not very nice, and the girls and I went outside to take a bunch of silly photos. Jenni (on the left) is shorter and she grabbed the back of my dress and pulled herself up to be taller than the rest of us - I guess you had to be there but we were all laughing so hard and it makes me laugh every time I see it. Thanks for hosting such a fun link up Elle! Do your pets 'ruin' your pictures? Ah I love your commentary! I love these behind the scene looks at pictures. And seriously, when my travel plan go wrong I get so upset! I love that it wasn't your beer. The things we do for pictures. The animals are always trying to get in pictures. So rude! Haha! I know your pain though girl! Some many things I relate to! I have a few pictures where I still look at and am like, yep we were arguing during that picture or before that picture ha. I love how honest and relatable all these are, girl! Also, totally get the MIL not being toooo nice at your shower, SAME HERE! I LOVE these!! You picked such an awesome selection of stuff!! Thank you for linking up!! A picture is worth a thousand words, but sometimes other people don't know what those words should actually be. The husband and I have taken many photos where we were fighting a few minutes before, but it turned into a great picture. I love how your cats are always so curious about things and end up in the pictures! Such a cool post idea! I love hearing the stories behind pictures. I might have to do this as well! And yes, selma is ALWAYS ruining pictures. she just can't stay away! This was so fun!! 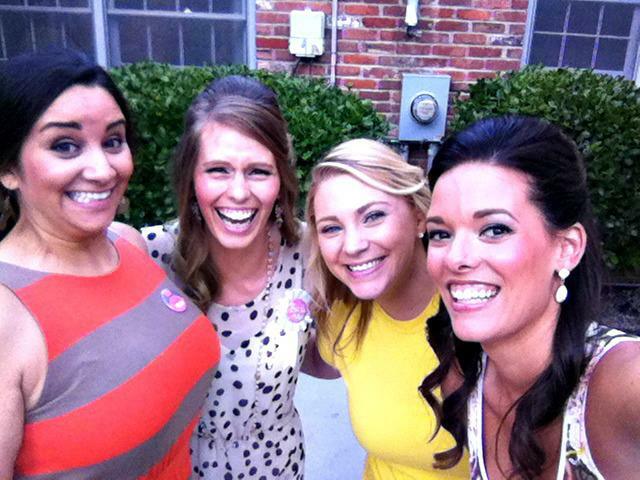 I absolutely love that last picture of all you girls laughing --- thank goodness for best friends! LOL this had me laughing the whole way through! Minus the Viking tour story. I would have cried too so you aren't alone there! When we were in Paris I thought our train left an hour earlier than it did (I forgot about the time change from London to Paris) so I rushed us back to the train station freaking out the entire way only to get there and realize we had an hour to wait. And for some reason the "Not my beer" comment had my dying. The last picture is SO cute— hope it’s framed somewhere! Oh how fun, what a great concept. I love all your pictures. We have plenty right after an argument #reallifeforrealyall. Hahaha "not my beer"! Love all of the cat photobombs! A lot of my instas are my dogs and pretty much the explanation for all of them is something like "it took me 30 minutes and 15 pictures to get a good one because they kept moving or looking away from me"
These are so funny! And it's funny about the "we had a spat" picture because there are a few of those in my albums and I ALWAYS remember, "Oh...that was the day we weren't getting along over X." Even though we're smiling and acting normal. Ha! haha taking a picture with a baby is always risky! And I love the "can you take that hat off?" "no"! Bahahah... Chelsea's face in that picture - she looks like a scared emoji! I love that last picture of you and your girls, too! You all look so happy!! I love this idea! It's so easy to forget "real life" when you're looking at someone's gorgeous instagram pictures. Ahhh - I hate your plans didn't work out as you thought... but sweet the hubs went for a corny hat pic to cheer you up. dammit, i totally missed this linkup but will probably do it later this week because i'm usually late to shizz like this. This is such a fun link up idea! Bummed I miss it but I'm probably stealing the idea for a post in the future ;) And YES to animal photo bombs, Brady seems to make his way into every single picture. I also let him do bad things for the sake of funny pictures - then he continues the bad behavior after because he think it's okay, ha! I think my favorite was... "not my beer". This was great! I absolutely love this link up idea and this post! I'm so sad I missed it but I looooved reading the stories behind every single one of these pictures. What a fun idea! I love hearing the story behind the pictures, even if they're not all happy ones. It makes it more real. "Not my beer." Ha! This is one of my favorite posts from you! It really lets your fun personality shine through! You are a fabulous story teller! hahahaha, this is hilarious and awesome. I love it. especially the jackets off one, so true. Thanks for doing this, I might do a late link-up with it! Your so right..there can be a great story behind every picture. I might have to try this as a post too. Sorry to hear about the Viking Splash Tour! "not my beer" hahaahhaahha when I saw that picture I thought to myself...but Kristen doesn't like beer? I love all the stories behind your pictures. This was such a fun link up! What an awesome idea! My cat and kid take up my yoga mat and try to chew on it like Millie chewed on your book. . .not cool kids. I miss using my mat. My cat is terrified of the car. I wish we could take him for rides! Whose beer was it? Cute idea. Sometimes it really is interesting to see what goes into a photo or behind the scenes. I did that later year with a photo and it got good feedback. May have to do it again soon! What the what with that allergic reaction (but as you know, it could have been on your face and way worse!). These are so cute. Yes, real life and then happy faces for the camera haha. You're too cute! This is a fun post, it's interesting to see life behind the pictures. Pictures are so perfect and life is so not. I loved this post! It is so funny to know what is going on behind the scenes in a picture or how the picture came to be. Also, as a fellow cat lover, I love that you have so many pictures of cats! My camera roll is full of my cats being cute/funny and I am always excited when someone else understands how great cats are haha! I love your stories behind your pictures! Fun! My dogs always get in my face when I'm trying to take pictures orrr the second the yoga mat comes out. Also Chelsea is an amazingly gorgeous cat. Like seriously. And I'm guessing she's named after the soccer (football, if I'm being correct) team? Michael wants to name an actual child Chelsea. My mom almost named me Chelsea so I just think it'd be weird to use it for a kid now! Haha. Your cats are so cute. Dogs are no better. Mine is always in the way and laying all over my yoga mat! Love this! What a fun post! Hahaha. This is such a cool post. It's fun to read the "real stories" behind photos. My cats seem to hate cameras, and cars, because they always do their damndest to thwart my attempts to take photos of them or to take them somewhere in the car. I always love these types of posts, though. I also love that your cats find their way into the majority of your pictures! I love this post - so fun! "Not my beer" made me laugh the hardest. I think it is cute that KC appeased you with the Viking hat photo. When you said Millie was eating your book, I didn't really think she took a chunk out of it! And, Chelsea looks so pretty driving your car. The last photo - your genuine laugh is awesome sauce!!! So many good stories here!! I love the honest ones like when you guys were fighting and he got you to get those viking helmet things and that last one with the candid laughing, just so awesome! I also love all of your cat pics, they just love you so much and that shoe one with Chelsea is hilarious and looks like a great outfit! Ok, I'm totally obsessed with this post - what a fun link-up! I cracked up over the baby vomiting seconds later...poor little one! What a cute post!! That is so nice that were able to do the tour for you guys, I hate when stuff like that happens!! The cats are too funny. These are all so cute. My favorite is "not my beer." I've done that because my husband is usually eating or drinking something so much more instagrammable. My cat also always wants to cuddle whenever I lay on the ground to do abs. I could never do yoga at home. This is so funny! It's true though, if only people knew what went into creating those "perfect" photos! Especially when you're having a little disagreement with someone and then you're forced to take a happy photo together lol. LOL'd at the first picture of your and KC. That is sososo something Joey would do. I adore the wedge booties!! The viking story is like a nightmare come true for me. I'm so glad they were able to get another tour set up for you guys, that was so nice!! I loved the one where the baby threw up right afterwards! 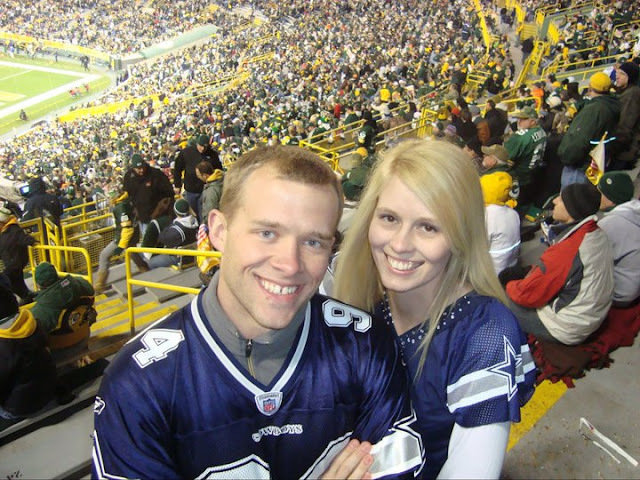 found your blog via elle's linkup - your commentary is hilarious! Sorry about that mysterious rash and getting the booking wrong (but totally, you were right!). Your husband is sweet to get the silly hats and take a photo. 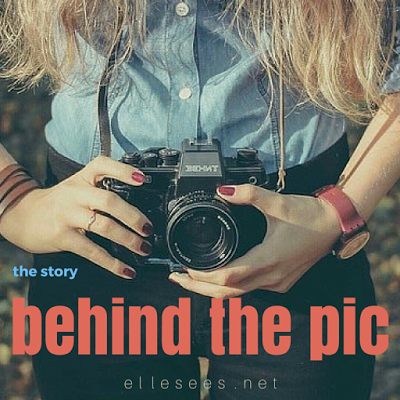 Love all the "behind the scenes" from what the picture shows! I love this post and also that you take your cats on car rides. I always want to take my Chitty out for a ride and the one time I did, he did enjoy it but I get nervous. I'm scared he's going to scratch up my dash or something. All of these memories are awesome!!! My clowder is always "ruining' pictures. And yet when I actually want to take a picture of them doing something cute, they choose that moment to 'notice' and get up and walk away. This linkup is such a cute idea! Coupled with your hilarious commentary and I'm laughing the whole way through. And that picture is lovely and such a wonderful memory. Ha, love the real life captions! This is perfect! Swear Im going to do one of these! hahah I loved this! I totally think the cats in the pictures make them so much better!